It’s been nearly two years since the last Fujiya & Miyagi album Ventriloquizzing came out, so we’re about due another one. As it happens, we’ve got two. Or maybe none. Confused yet? 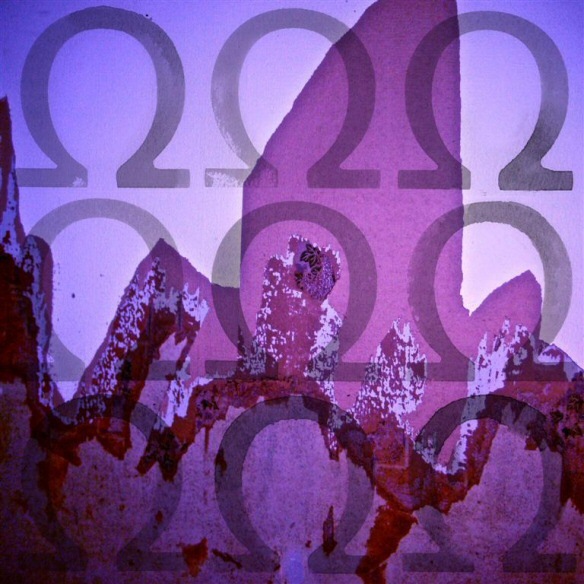 The next couple of weeks sees the release of Grave Goods by I Am Ampersand and the eponymously titled Omega Male. I Am Ampersand is the solo project by Matt Hainsby, Fujiya & Miyagi’s bass player and Ampersand. Omega Male is a collaboration between David Best and Project Jenny Project Jan’s Sammy Rubin. Both albums start off sounding like they could be Fujiya & Miyagi’s own work. Omega Male, the opening track of the Omega Male album Omega Male (sorry, I couldn’t resist) reuses a technique David Best used on Ankle Injuries, repeatedly slipping in parts of the band name into the lyrics. The vocal style is unmistakeable and the track sounds like Fujiya and Miyagi with a heavy dose of electronics. I am Ampersand’s opener Lights and Radios also showcases Matt Hainsby’s contribution to Fujiya & Miyagi, with a bit rolling bassline and fizzing analogue electronics at the end. After the openers, the albums take on their own distinct personalities. There are several options for you if you’re in a band but you want to pursue a side project – you could take what you do in the band and see how that works with other musicians, or you could use the opportunity of being free from the band’s style to do something rather different, and the two albums here show both those choices. Fujiya & Miyagi and Project Jenny Project Jan have collaborated in the past, touring together and making the track Pins & Needles which appeared on Project Jenny Project Jan’s Colors EP back in 2009, so it’s no great surprise to see David Best working with Sammy Rubin again. David Best’s trademark vocals, emphasising each syllable (there’s a track about saying sorry called Uh-Pol-Uh-Jet-Ik), make the album sound very familiar to those who know Fujiya & Miyagi, and work well combined with Sammy Rubin’s electronica. It’s not a dance album though – You Bore Me To Tears revels in Serge Gainsbourg’s long shadow, and the album’s closing track. Buildings Like Symphonies, is probably the most beautiful song I’ve heard this year. An 8-bit electronic melody opens things sounding like digital birdsong. A simple string line starts at the same time as Best’s hopeful lament. Over a verse or two, the strings build, joined by subtle horns. Halfway through a loose drumbeat kicks off, the strings are soaring, and you truly believe Best when he sings that “Rumours were circulating / that we could build / Buildings Like Symphonies”. It’s the magical chemistry that makes tracks like Unfinished Sympathy by Massive Attack or Gorecki by Lamb the classics that they are. Breathtaking. 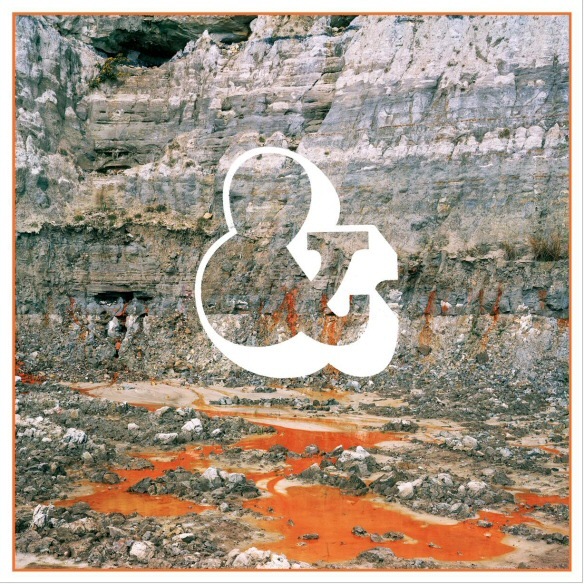 I Am Ampersand also has another of my favourite tracks of the year on it – 20 Seas 4 Oceans has received heavy rotation in these parts since it received an ultra limited release on 7″ earlier this year. I was enjoying it for the music, sounding a little bit like an acoustic country-folk take on Spirit In The Sky, not paying nearly enough attention to the lyrics which, now I’ve read the press blurb, I can hear are all about the song’s narrator being a Merman living in a city wanting to return to the sea. Obviously. The rest of Grave Goods is lovely pastoral psychedelic folk-pop, at times sounding like some of Gruff Rhys’ quieter moments, never losing it’s edge and lapsing into something “nice”. Fujiya & Miyagi loom large on Eko, an uptempo instrumental midway through the album, and then it’s back to the wonky pop on the first proper single Holding The Negative Up To The Light. The album closes with the title track Grave Goods – the archaelogical term for possessions buried with bodies. Three and a half minutes of country twang ruminating on life and death, and everything you accumulate inbeween. A fitting close. Omega Male by Omega Male is released on Full Time Hobby on 12th November, and play at the Blind Tiger on Tuesday 20th November as part of Melting Vinyl’s Oui Love night. Grave Goods by I Am Ampersand is released on Great Pop Supplement on 19th November. Back in January, I only gave I am Ampersand’s debut single “20 Seas, 4 Oceans” a passing mention in a blog post with a few other videos that were around, which is a travesty because it’s fantastic – four minutes of sunshine psychedelic folk pop. Matt Hainsby’s second 7″ is just as good. Holding the Negative up to the Light crams in even more ideas that it’s predecessor without losing any of the charm. And being the sucker for nice packaging that I am, I can only say good things about the translucent orange vinyl that it’s pressed on, and the screen print that comes tucked into the sleeve. 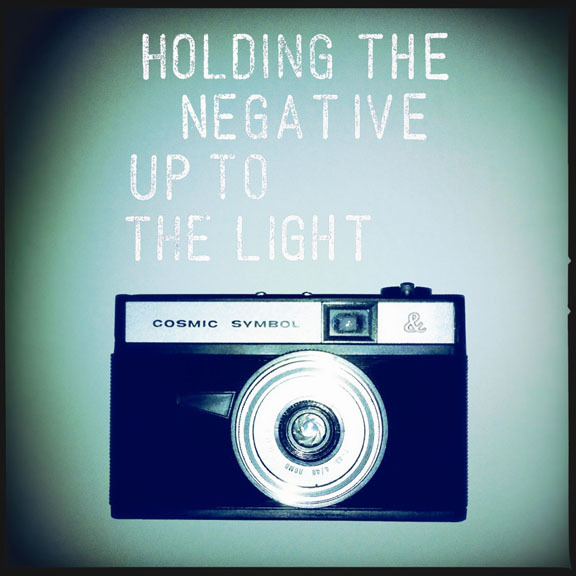 Negative is a tune of two halves – in the first half of the song, the vocals are accompanied by acoustic guitars and strings and then at around a minute and a half the song crumples then revives itself with effervescent analogue synths which bubble along and bring a completely different dynamic to the second half. I Am Ampersand’s album is due later in the year on the Great Pop Supplement label. On the strength of his first two singles, it should be a corker!